Congratulations to Stephenson ward for achieving the Full Monty award! This superb Child and Adolescent Mental Health (CAMHS) low secure ward at Ferndene unit in Prudhoe, Northumberland, has eight beds and provides assessment and treatment. Service users are aged from 14 to 18 years and have mild to moderate learning disability and require high levels of supervision in a safe environment. It took the team around 6 months to introduce the 75 ideas. 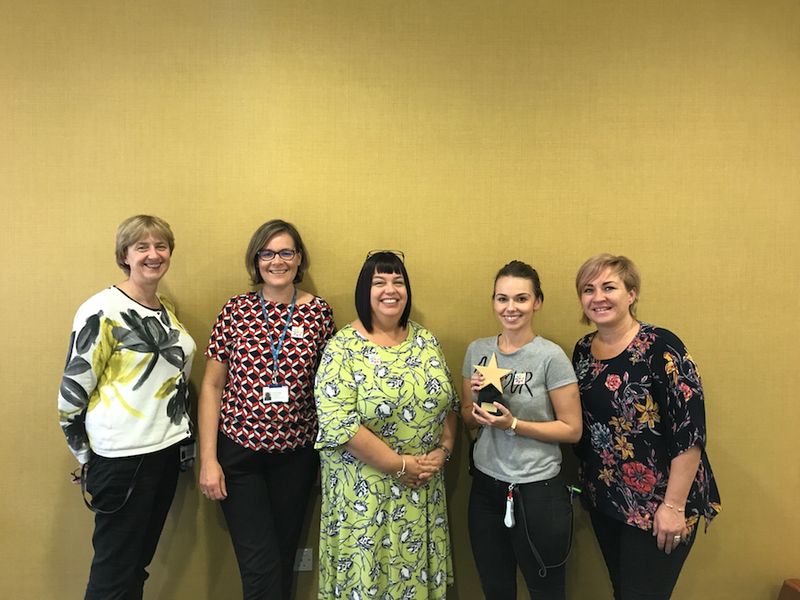 Stephenson’s Star Wards journey has encouraged them to be more reflective about what they do and how they can do even better. Happily, these enhancements are helping their young patients to feel more valued and have generally helped staff recognise that they’re providing a good service. Well done, once again, Northumberland, Tyne and Wear NHS Foundation Trust! Young people have invited senior managers and hospital caterers to join them in meals and have discussions around food. A DVD and projector are provided in the games room so that the young people can watch movies or play games on the big screen. Access to pilates, yogalates, youth football club, Zumba, circuit training, pottery, pet therapy, theatre group, book readings by authors. Visits to farms, pet corner, and visits from exotic animals. A communal Library, prayer room, sports hall / gym, music room, computer facilities, art room, multi-sensory room, woodwork shop. Regular walks and other outdoor activities are part of the Duke of Edinburgh Award Scheme which the young people are encouraged to enrol in. Young People participate in horticulture as part of the education curriculum. Some help maintain flower beds around the unit. Computer facilities are available on the ward in order to give access to Skype and email. You people are encouraged to make regular contact with families through phone calls, skype and postcards. A touch screen next to the visitor’s room giving information about treatments, local bus timetables etc. A number of staff have counselling qualifications on duty during working week. Young people are involved in the writing of ‘Communication Passports’, ‘All About Me’ books, and ‘Getting to Know You’ profiles. Young people are sometimes involved in the writing of training packages for future providers – where appropriate.